Captain Dallu of the Tanzania People’s Defence Forces, went through an ordeal that lasted 12 hours and when it was over, he thanked God and testified his appreciation of the power of the social made in playing a crucial part in fighting crime. Dar es Salaam. Social media has once again demonstrated its significant power in helping to avert crime and bring culprits to book after a WhatsApp post on Sunday helped one Captain Innocent Dallu to recover his stolen car that had his three-year-old daughter on board. “The public should wisely use social media because in addition to helping people network and be closer, it can play a crucial role in the provision of key information for the betterment of the society,” he said. 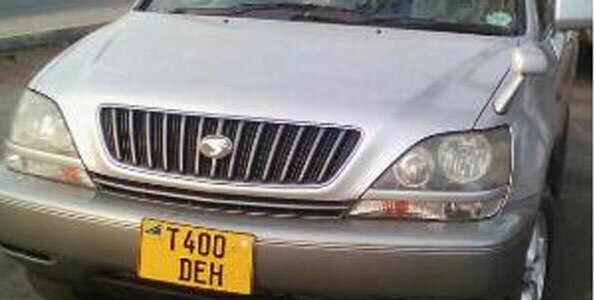 At around midday on Sunday, Capt Dallu parked his Toyota Harrier with Registration Number T400 DEH outside a shopping mall at the Mbezi Beach suburb in Dar es Salaam and left his children inside the car; a boy aged seven and a girl aged three. He walked into the mall to make some quick purchases. He left the engine running to provide air conditioning for the children. When he went back to the car noted it was gone with the little girl still on board while the seven-year was left stranded outside the mall. Speaking to The Citizen in a telephone interview yesterday, Capt Dallu, a medical doctor currently serving in Darfur, Sudan, said using the help of a friend who was at the scene they started to pursue the stolen car. “My friend had seen the car speeding off and we started following chasing it in the direction that it has gone,” Capt Dallu said. As they were chasing the stolen car he informed his young brother Juma Dallu who posted the information in some WhatsApp groups in order to solicit help from people, especially out of concern from the little girl. The chase was futile as they were soon lost by the car thieves but followed was a flurry of calls to Capt Dallu from both inside and outside the country as a result of the WhatsApp post. “A few minutes after Juma had used his phone to post the message in WhatsApp I started receiving calls from as far away as the US, Italy and the UK asking me whether the message trending in WhatsApp groups was really true,” he noted. About nine hours, around 21 hours after the incident Capt Dallu received a call from the Police informing him that his daughter had been found at a bar called Golden Bridge in the Kawe area, some three kilometres to the south east of Mbezi Juu. The car thieves had abandoned her at the bar and sped off. And at about midnight Capt Dallu received a call informing him that the Police had impounded the car at Kiwangwa Village, Bagamoyo District in the Coast Region. Commander Mushongi said one suspect was arrested as two others escaped after one of them had handled his driving license. Family members and friends became really concerned but this helped, he added. A relative who is a police officer quickly posted the message in WhatsApp groups of police officers and Capt Dallu started receiving calls from the police. “Regional Police commanders from Dar es Salaam and the Coast Region started calling me to get more details of the incident and they quickly sprang into action to help recover my baby girl and the car,” Capt Dallu noted. Coastal Regional Police Commander, Bonaventure Mushongi acknowledged to have learnt the issue from WhatsApp. “Social media is a veritable social networking tool that is of paramount importance to the Police. The challenge remains the reliability of the information circulating because criminals can also use the platforms to misinform and mislead the public and the Police,” Commander Mushongi said, adding that the Police routinely monitor the social media to get information of what was going on. In fact by late hours of Sunday the incident became the most trending in the major social media sites of WhatsApp, Facebook and Twitter. Later in Sunday evening, however, some unknown people started circulating wrong information using eh same social media sites alleging that the little girl and the car have been found. This again prompted a flurry of calls from the Police and other people wanting to know whether the information was true. Fresh posts started circulating recanting the wrong information and the Police’s pursuit of the car thieves continued. About nine hours, around 21 hours after the incident Capt Dallu received a call from the Police informing him that his daughter had been found at a bar called Golden Bridge in the Kawe area, some three kilometres to the south east of Mbezi Juu. The car thieves had abandoned her at the bar and sped off. And at about midnight Capt Dallu received a call informing him that the Police had impounded the car at Kiwangwa Village, Bagamoyo District in the Coast Region.